Ross, Rachel, Chandler, Monica, Joey, Phoebe and Gunther are back! FRIENDS! 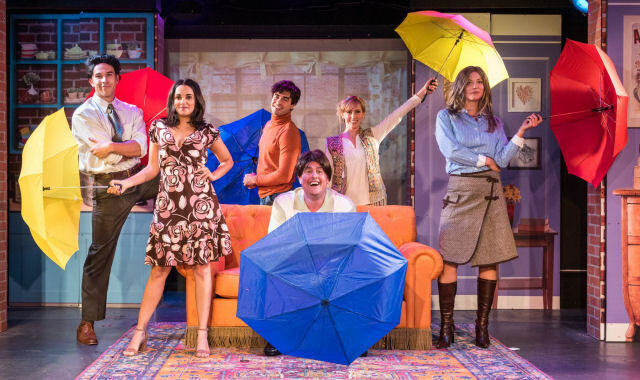 The Musical Parody is the hilarious new off-Broadway musical that lovingly lampoons TV’s Friends! 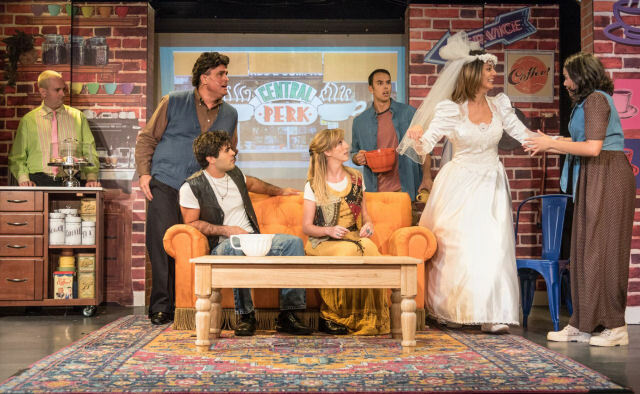 With 90s tunes filling the theatre as you make your way from the bar to your seats, you’ll instantly “pivot” back in time to an era of signature haircuts, ugly naked guys and smelly cats. You’ll laugh! You’ll cry! You’ll Unagi! Friends! 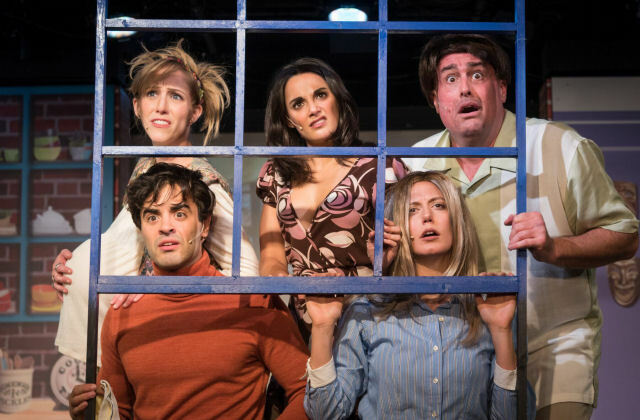 The Musical Parody celebrates and pokes fun at the wacky misadventures of a group of 20-something pals as they navigate the pitfalls of work, life and love in 1990s Manhattan. In 2 acts, this show references most, if not all, of your favorite episodes from this beloved series. If you’re a fan (and even if you’re not), you are sure to enjoy this trip down memory lane. The six talented actors in the cast nail their impressions of each quirky character from Ross to Janice, from Phoebe to flashback Monica. FRIENDS! The Musical Parody is brought to you by Bob and Tobly McSmith, the duo behind five critically acclaimed musical parodies including Bayside! The Saved by the Bell Musical (NY Times Critics’ Pick), 90210! The Musical and Full House! The Musical starring Perez Hilton, among others. Lynn Shore Entertainment, Theater Mogul and McSmith Family Entertainment produce; Directed by Paul Stancato (Jekyll & Hyde, The Lion King), with music is by Assaf Gleizner (90210, bring it to you! The Musical), FRIENDS! The Musical Parody is performing now through December 31st 2017. The performance schedule is: Wednesday at 8:00pm, Thursday at 7:00pm, Friday at 10:00pm, Saturday at 7:30pm & 10:00pm, Sunday at 2:00pm. For more information, please visit http://www.friendsmusicalparody.com. Parental Advisory (explicit language). Children under the age of 4 are not permitted in the theatre.